Celebrate National Guacamole Day with this freebie. 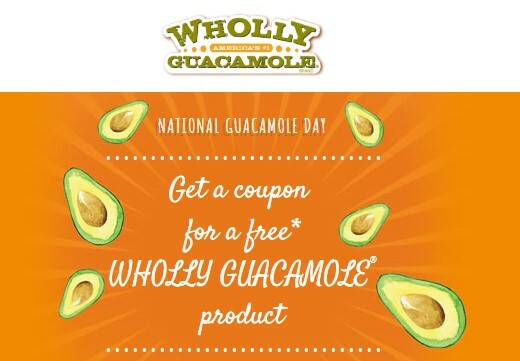 Hurry and grab you coupon for a FREE Wholly Guacamole product. This awesome freebie is available while supplies last, coupon is sent via mail. You will need to fill out your information and you will receive a coupon for a free Wholly Guacamole product.